Is pumpkin seed oil the ultimate answer to reversing hair loss? To begin, it’s in one of the FEW studies that was actually evaluated in humans rather than mice. 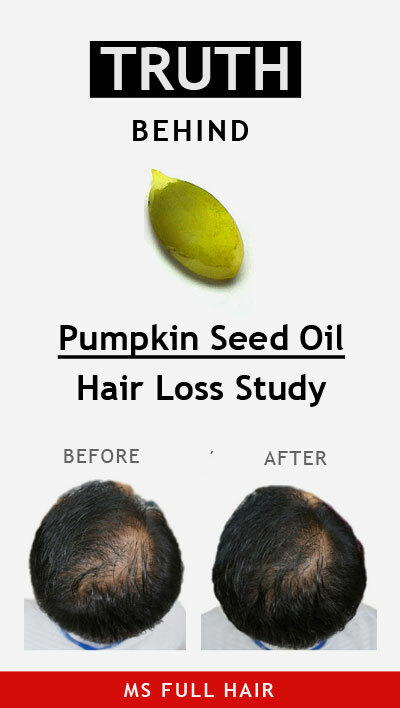 In addition, the before and after results from the pumpkin seed oil hair study revealed significant improvements and has created a buzz throughout hair loss forums. But, is everything you hear actually true? We took a closer look at the study and found some interesting (and very important) details that people seem to ignore. Here in this review, we will reveal those details that will give you eye-opening facts about not only the role of pumpkin seed oil for androgenetic alopecia (AGA), but also what’s really behind this remarkable hair regrowth result. 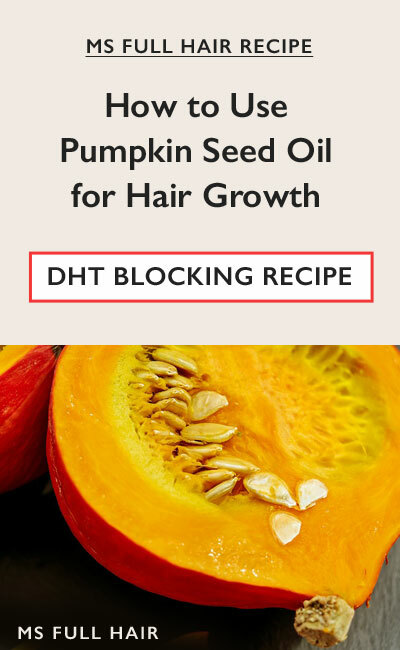 In the summary section, you will learn how you can use pumpkin seed oil (both topically and orally with the correct dosage) and these new findings for preventing thinning hair and stimulating new hair growth. First, let’s go over some basics. As you may have guessed, pumpkin seed oil is extracted from raw pumpkin seeds and it uses a solvent extraction / separation method similar to other essential oils. Pumpkin seeds, also known as Cucurbita, make an amazing “hair growth” snack thanks to its nutritional minerals. Pumpkin seeds are rich in omega 6 and 9 fatty acids and contain crucial elements for healthy hair growth including iron, magnesium, zinc, and calcium. What makes pumpkin seed oil THE must-have for your hair loss regime is its natural DHT blocking ability and the anti-inflammatory effect it provides (we will discuss in great detail below about 3 main benefits of pumpkin seed oil for hair loss). A 2014 study demonstrated impressive hair regrowth results from people who were taking pumpkin seed oil on a daily basis (1). A team of Korean researchers conducted a study on pumpkin seed oil and its efficacy on treating androgenetic alopecia (AGA – aka pattern hair loss) as a natural alternative. Unlike many other studies, this research was actually done with human participants rather than mice, which increased the validity in real human hair growth than typical mice-based models. There were total 76 male participants who were all suffering from androgenetic alopecia (AGA = pattern hair loss) aged between 20 and 65 years. The participants were randomly assigned into two groups. Each capsule contained 100 mg of pumpkin seed oil and the participants were instructed to take 2 capsules twice a day for 24 weeks straight (To be specific: 30 minutes before breakfast and dinner). In order to measure accurate results, the participants were instructed and assessed that they were truly free from any topical or oral hair regrowth treatments (minoxidil, finasteride, 5a reductase inhibitor, hormonal products, etc) 3 months prior to the start of the study. How was the study assessed? Participants were assessed after 1, 4 and 12 weeks throughout the study. As you can see above, these are before and after photo results of using pumpkin seed oil for hair growth show significant improvements. There are new and visible terminal hairs (rather than vellus hairs) sprouting on the severely balding areas on these men. According to a blinded investigator assessment, he/she noted that the group 1 (pumpkin seed oil) showed 44.1% improvement, while it was only limited to 7.7% improvement for the placebo group. There was also significant improvement in hair counts (40% vs 10% at 24 weeks – pumpkin seed oil vs placebo group), while hair thickness didn’t show much difference between those groups. Was there any side effect of taking pumpkin seed oil orally for hair? The pumpkin seed oil hair loss study notes that most participants completed the treatment without any side effects or adverse symptoms. A few subjects reported some discomforts including itching sensations and abdominal discomfort. What does the study result indicate? The researchers conclude that the result showcases how pumpkin seed oil can be an effective natural remedy for treating androgenetic alopecia and does not cause negative side effects. They also add the comment that new hair growth is likely due to pumpkin seeds’ natural ability to effectively block 5 alpha reductase enzyme activity from converting testosterone to DHT (thus stopping follicle miniaturization and promoting normal growth cycle). This is where it takes an interesting turn. While the study is titled as “Effect of pumpkin seed oil on hair growth in men with androgenetic alopecia” (which is why it created confusion for some people), in reality, the researchers actually used a Korean health supplement called “Octa Sabal Plus.” which contains pumpkin seed oil as one of the ingredients. This means that you can’t really tell if “pumpkin seed oil” is what actually triggered hair regrowth or if it was other ingredients or even the combination of all ingredients. 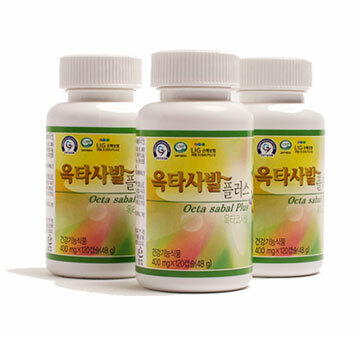 So what are the ingredients of this health supplement, Octa Sabal Plus? Similar to other health supplements, Octa Sabal Plus, the Korean supplement used in the pumpkin seed oil against hair loss study, also contains a variety of ingredients in a capsule form. Mixed vegetable powder includes extracts from olive oil, palm oil, sunflower seeds oil. If you haven’t noticed yet, this supplement, in fact, contains a variety of ingredients known for stimulating hair growth. For instance, evening primrose oil is rich in gamma-linolenic acid (a type of omega 6 fatty acid) and has an anti-inflammatory property. It’s used as a popular natural alternative for hormonal imbalance in women suffering from thinning hair. Another study shows red clover, a perennial herb rich in isoflavones, improved both hair and skin health in women with menopausal symptoms (2). This is where it gets somewhat confusing yet interesting. Looking at the patent document closely, it also reveals that active compounds from the above ingredients were first extracted and formulated using specific ratios designed for direct improvement of prostates and bladder health conditions. In other words, while Octa Sabal Plus is popularly used among people for the purpose of stimulating new hair growth, the original intention was focused on improving the healthy prostate and bladder functions instead. Here is another interesting find about Octa Sabal Plus used in the pumpkin seed oil for hair loss research. We found a YouTube video that explains Octa Sabal Plus supplement in depth (3). This is a classroom setting with a guy who gives an educational seminar to its affiliate members. In the video (in Korean), he is basically saying that this supplement was originally created to improve the kidney health, which also directly impacts to prostates and bladder functions. While he doesn’t say it out loud, he makes it sound like hair regrowth was a surprising find from feedback of actual users. This finding appears to have motivated the supplement company, Dreamplus Co LTD, to start documenting before and after results using video formats to increase the validity (rather than using photos). In fact, we also checked out all of these before and after videos and the results are pretty impressive (here are some of the videos: 1, 2, 3, 4). To sum it all up, Octa Sabal Plus was formulated with certain ingredients (pumpkin seed oil, octacosanol, soybean extract, evening primrose, corn silk, red clover, and tomato extracts) with the intention of improving kidney health which directly affects the prostate and bladder control functions. It appears that the company later found out improvement in kidney health also had a positive effect on stimulating hair regrowth. This finding asks for an important question: how does kidney impact hair growth? 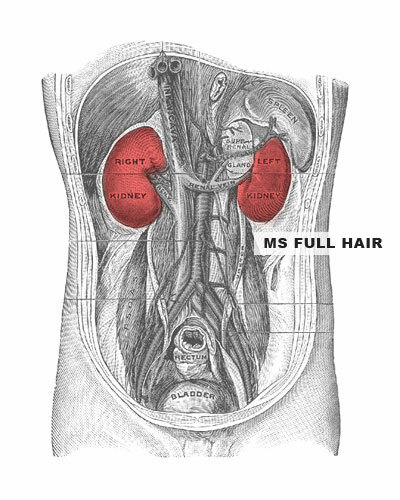 When kidneys are not functioning properly, it can negatively affect hair growth by causing a shortage of oxygen supplies to follicles and unwanted build-ups of waste and fluid in the body increasing inflammation including the scalp. So what can you do to keep kidney healthy and strong? Well, there are various natural ways to achieve it and for many of them, you probably already know: Exercise, no smoking, and healthy eating habits. When it comes to kidney health foods, here are some of top foods you want to consider (other than the ingredients from Octa Sabal supplements). What about just buy Octa Sabal Plus to regrow my hair and kidney health then? The bad news? Its steep price tag. It costs $600 for a 3 month supply. In other words, it will cost you $200 per month, which seems ridiculous for supplements. So now we know that Octa Sabal Plus (Korean supplement that contain pumpkin seed oil as one of the ingredients) seems to work for stimulating new hair growth. But what about pumpkin seed oil itself? Does it actually work for reversing thinning hair? Well, while we wouldn’t know 100% until researchers conduct another study purely focused on pumpkin seed oil for hair loss, there are multiple reasons and evidence that using pumpkin seed oil for hair loss prevention is nothing but amazingly beneficial. Here are 3 most important benefits of using pumpkin seed oil for alopecia. Studies reveal that pumpkin seed oil works as a natural DHT blocking agent. This 2009 research study (4) shows that taking pumpkin seed oil (320 mg/day) prevents the enlargement of prostates (hyperplasia of the prostate symptom) by inhibiting 5a reductase activities. 5a reductase is an enzyme that converts testosterone to DHT, which in turn, causes hair follicle miniaturization. In other words, pumpkin seed down-regulates 5a reductase enzyme in the scalp, thus reduces a chance for hair follicles from shrinking and causing premature hair fallout. Another 2006 study (5) shows the positive results using pumpkin seed oil for the treatment of hyperplasia of the prostate (enlarged prostate). This 20 day study involved mice with induced testosterone (for prostate enlargement). Pumpkin seed oil was used in one group simultaneously, while the other half was given corn oil to serve as a control group. The results note that the mice group with corn oil (control group) showed a significant increase in size of prostate, while the active group (pumpkin seed oil) had prostates stay in the same/similar size range as the original. Pumpkin seed oil contains the high amount of tocopherols, oleic acid and linoleic acid. Let’s talk about each in detail. Tocopherols is a part of vitamin E family and known for its antioxidant property by blocking harmful free radicals affecting our body. 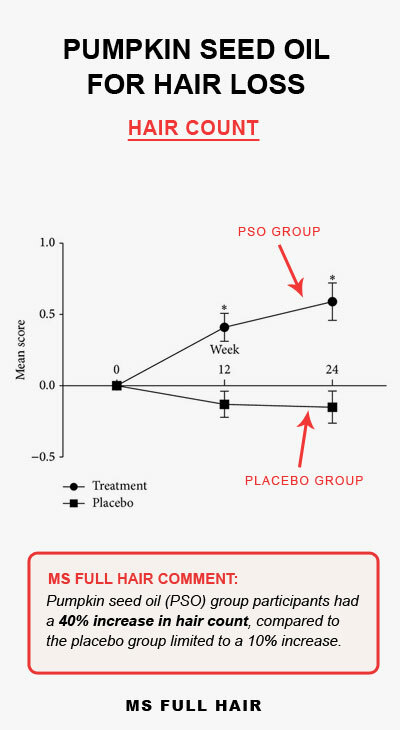 According to a 2010 study, participants who took vitamin E supplements showed the significant increase in the number of hairs compared to the placebo group (who were given placebo capsules). Interestingly, people suffering from alopecia show lower levels of antioxidants in their scalps. The researchers conclude that this significant hair growth is likely due to decreases in oxidative stress in the scalp by its antioxidant property. A number of studies show alopecia and its intimate relations to certain fatty acids. Taking oleic acid as an example, this omega 9 monounsaturated fatty acid enhances antioxidant activities in our body according to multiple studies including this one. Another study shows the importance of fatty acids, especially polyunsaturated fatty acids – linoleic acid and alpha-linolenic acid for preventing hair thinning. One interesting study showcases a man with severe symptom of alopecia due to increased scalp inflammation. When researchers applied safflower oil (rich in linoleic acid), he had remarkable recovery in hair restoration in just 21 days. Pumpkin seed oil is rich in magnesium and iron, followed by zinc. A handful of studies reveal that a lack of any of these nutrients is closely linked to hair loss. For instance, zinc helps decrease DHT levels and inflammation in the scalp. A 2013 study (6) points out that people with hair loss tend to show significantly lower levels of zinc concentration. Interestingly, whether hair loss was due to androgenetic alopecia, alopecia areata or even telogen effluvium, most participants showed the low zinc levels. Magnesium also works effectively for thinning hair by reducing chronic inflammation and calcification of blood vessels which supply oxygen all over the scalp (Read about using magnesium oil for hair loss and its mechanism of how it works for reversing it). Luckily, pumpkin seed oil provides an abundant amount of magnesium per serving. How much pumpkin seed oil should I take for hair loss? The study required its participants with androgenic alopecia to orally take 400 mg of pumpkin seed oil per day. To be specific, they were instructed to take 200 mg in the morning and 200 mg at night – 30 minutes before eating breakfast and dinner. If you are going for convenience, use quality pumpkin seed oil supplement for hair loss like this one that comes in capsules. Personally, our preferred way is to get food-graded pumpkin seed oil and add it to your diet (as a salad dressing mixed with apple cider vinegar – another natural ingredient beneficial for healthy hair growth). Note that pumpkin seed oil has a lower smoking point (~320F), so you should not use it as a cooking oil. Pumpkin seed oil is rich in oleic acid making it a perfect hair loss topical oil, thanks to its skin penetration enhancing property. Use this simple yet effective hair mask recipe for topical application. It only requires two ingredients. You may ask if you can use pumpkin seed oil for alopecia areata. Unfortunately, the study was focused on participants with a symptom of androgenic alopecia (male / female pattern hair loss) rather than alopecia areata (baldy patchy hair loss). However, you may want to read this article which showcases a study conducted for people who were suffering from alopecia areata. One of the participants even had full hair recovery. If you want to follow that study formula while also wanting to add pumpkin seed oil to the mixture, simply replace both grapeseed and jojoba oil with pumpkin seed oil as both are carrier oils. Takeaways – Can I use pumpkin seed oil for hair regrowth? Healthy kidneys can have a positive impact on hair growth. While the study claimed it’s pumpkin seed oil that stimulated hair regrowth, the researchers were using Octa Sabal Plus supplement, which was actually designed for improving kidney health. By incorporating foods from the supplement ingredients (pumpkin seed oil, tomatoes, evening primrose, red clover, etc) as well as kidney superfoods listed above into your daily diet, it gives extra protection for maintaining healthy hair. Pumpkin seed oil works as a natural DHT blocker by inhibiting 5 alpha reductase enzyme from testosterone-to-DHT conversion. As DHT is one of the main causes of hair loss for both men and women, pumpkin seed oil makes a great addition to prevent unwanted hair fall out. The best way to consume pumpkin seed oil? Try a high quality supplement or even better, get a whole bottle and start sprinkling it onto your salad. Finally, you can add pumpkin seed oil for your hair growth oil as a topical treatment as well. 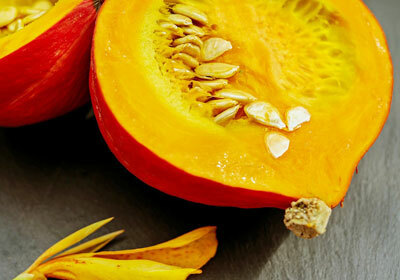 Have you tried pumpkin seed oil for hair regrowth? Share your experience in the comment section!